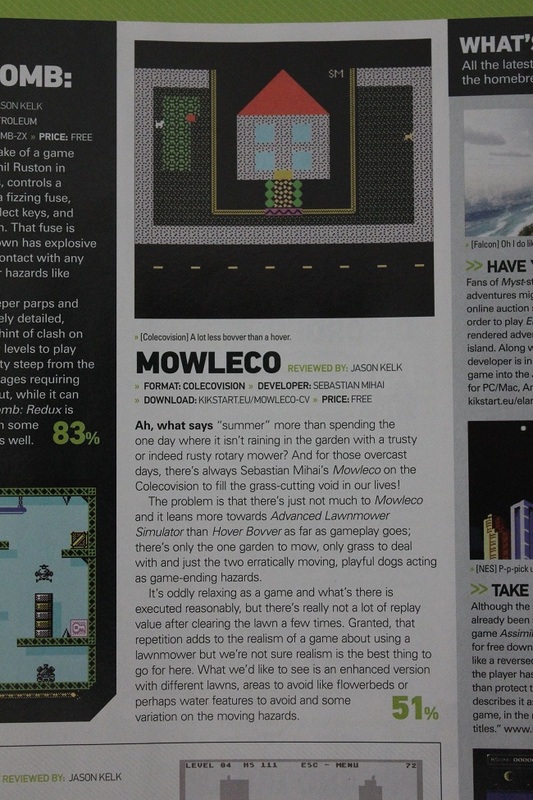 Mowleco is a lawn mowing game. That's right, lawn mowing. This is inspired from real life. The winter of 2011-2012 has been quite mild over here, and green grass is showing. This got me thinking about when I will have to start mowing the lawn again. You control a red lawnmower (modelled after my own red lawnmower), and your task is to mow all the grass! There are two dogs around the house as well. Get too close to them and it's game over! In terms of technology, the dev kit was pretty nice. Its packed-in tile editor is a rare sight, and I welcomed it. Editing tiles and backgrounds is very easy. The dev kit requires sdcc (a C compiler), and you can find this in the Downloads section. One thing I found really strange is how long it takes to compile a program. Mowleco took about 40 seconds each time I compiled it, and it's not even that complex. Not a huge price to pay, but it is somewhat annoying. source code - the Mowleco source code. Requires z80 dev kit and sdcc. A simple, yet pretty complete game which should help you start your own Colecovision homebrew projects! dev kit - the z80 Colecovision dev kit. It requires sdcc. I installed mine in C:\z80. It also contains an emulator, so you don't need to download one separately. - when I added a font, my programs wouldn't compile anymore, and did not report any errors. If your game stops compiling after adding some tiles, consider reducing the number of total tiles. 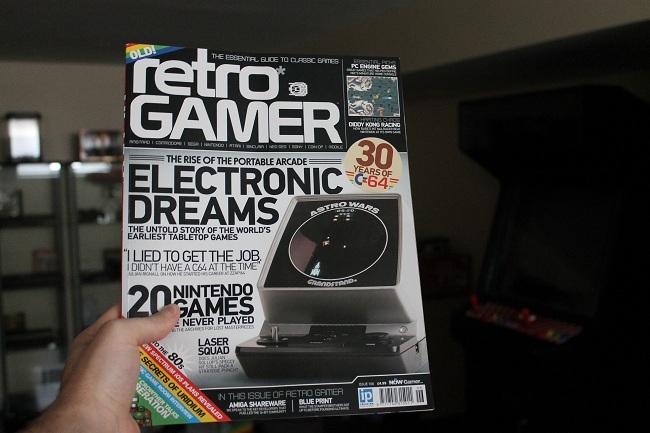 Featured in Retro Gamer issue 106!